White identity is in ferment. White, European Americans living in the United States will soon share an unprecedented experience of slipping below 50% of the population. The impending demographic shifts are already felt in most urban centers and the effect is a national backlash of hyper-mobilized political, and sometimes violent, activism with a stated aim that is simultaneously vague and deadly clear: 'to take our country back.' Meanwhile the spectre of 'minority status' draws closer, and the material advantages of being born white are eroding. 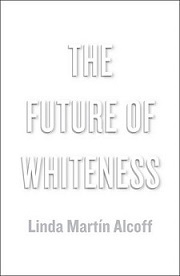 The Future of Whiteness makes no predictions but astutely analyzes the present reaction and evaluates the current signs of turmoil. Beautifully written and cogently argued, the book looks set to spark debate in the field and to illuminate an important area of racial politics. For more information, please visit the publisher's website.